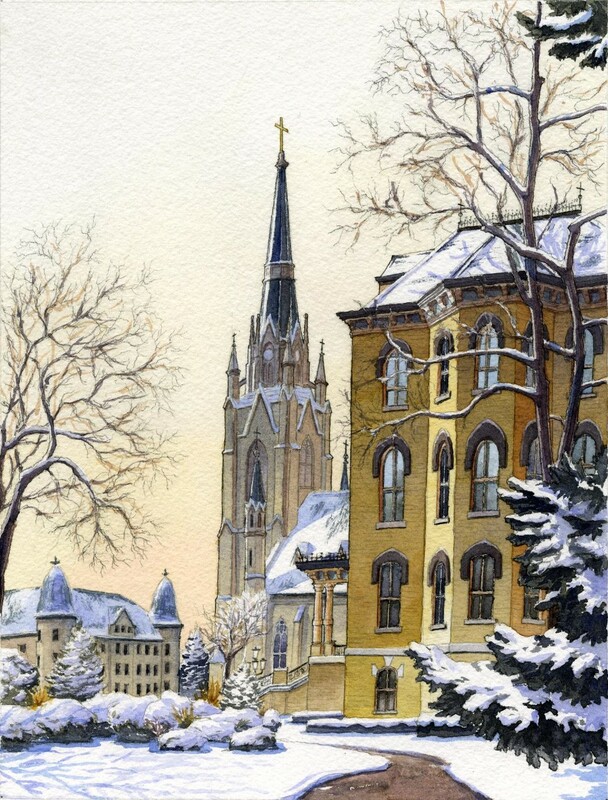 A view of Notre Dame’s Sacred Heart Basilica and Main Quad. Watercolor, 9”x12”. Much more worthwhile than studying for finals.